Are you a wine lover? Then maybe you know that Jerez de la Frontera is the European Wine City 2015, which made the city bloom with (even more) wine-related events and festivals. 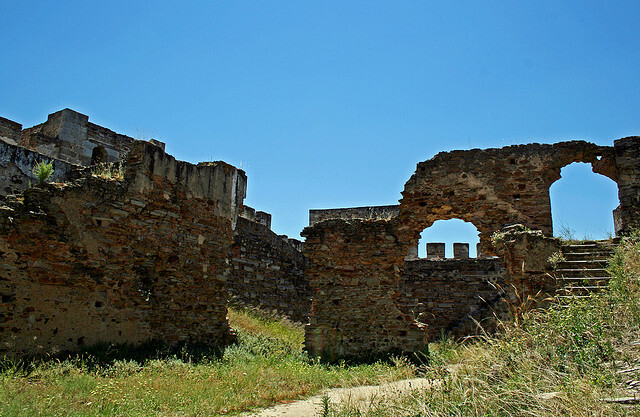 Its successor city is Reguengos de Monsaraz, a Portuguese town which, coincidentally, is just 300 km away from Jerez, in the region of Alentejo. You can guess what we are thinking, right? Why not take advantage of it and make a route by car? 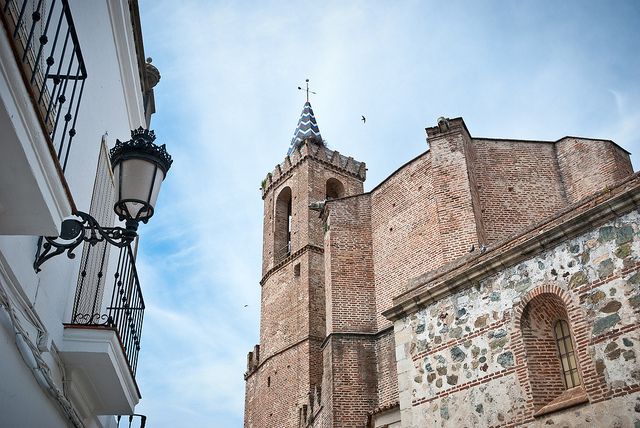 You can travel from one location to another through Huelva and visit both places that were chosen European Wine City of the Year. 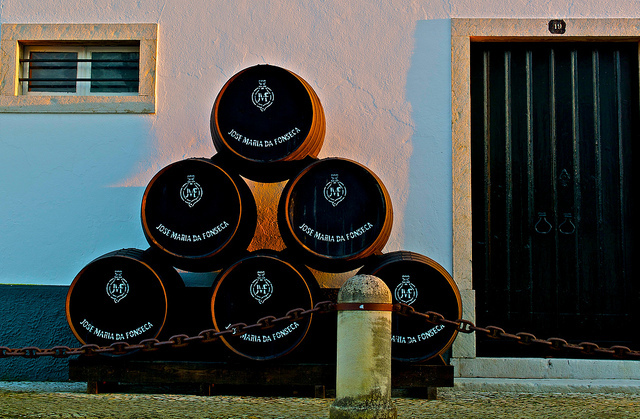 The route starts in Jerez de la Frontera, where you will have the chance to get some bottles of the wine that has given more fame to the town, the Sherry. Take the E5-AP4 road and stop in Seville, that happens to be on the way. Of course, if you have time, you need to stay one or two days in the city, which has many things to see: the Plaza de España, the Giralda, the Alcazar, the Cathedral … try to take your time to enjoy the city to the fullest! Leave Seville and drive north on the A-66. The mountains of the Natural Park of Aracena will start to take shape in the horizon. You can also take a few days to explore the park, it is really worth it, or even visit the region’s capital, Aracena, which has an old town that has been declared of cultural interest by the Unesco. It also has a castle, many churches and even a Wonderland grotto, an underground complex that seems impossible to have been created only by nature. The next stop is still in the Natural Park. Aroche is one of the towns with most historic heritage in the province. A small paradise for archeology lovers is Turobriga, the ruins of a 1st-century Roman city. You can see the forum and public square, the thermal baths, parts of a house, etc. And of course, you cannot miss the Aroche castle and its many churches. Already in Portugal and only a few kilometers away from Reguengos de Monsaraz, you will find Mourao, a Portuguese small town you might want to check out. It is especially famous for its 14th century castle that looms over the village from a hill. In the castle you can visit the 17th century church Igreja de Nossa Senhora das Candeias. 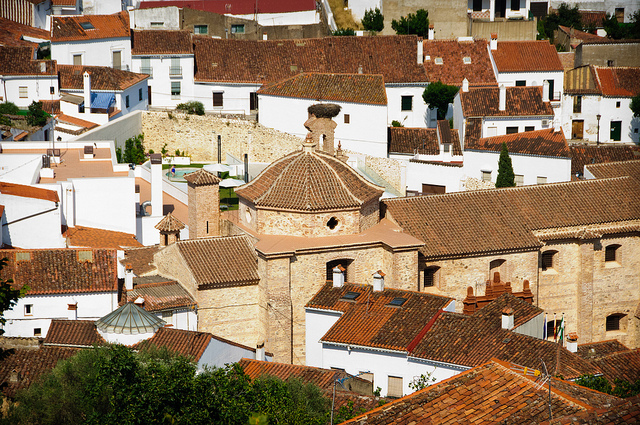 Our route’s final destination is already there: Reguengos de Monsaraz. You will reach it on the N256 road across the Great Lake Alqueva , the largest artificial lake in Europe, built in the Guadiana river. What to see and do in Reguengos ? Basically, stroll about, admire the views, and drink wine. Reguengos de Monsaraz is a wine region , which explains the number of wineries you’ll find there and the quality of their wines. There is a reason why it is the European Wine City 2015. Are you a wine lover? Then maybe you know that Jerez de la Frontera is the European Wine City 2015, which made the city bloom with (even more) wine-related events and festivals.